On February 4, 1926, George Merrick spoke at the cornerstone ceremony for the University of Miami. There was a copper box that was embedded in the cornerstone for commemoration. The box included the following items: the university charter, a copy of the contract between Merrick and the university, a current newspaper, copies of the architectural plans and pictures of George Merrick and his father. George dedicated the first building at the university to his deceased father. Read more information at “George Merrick: Son of the South Wind”, by Arva Moore Parks McCabe. Cover: Men at Cornerstone Ceremony for University of Miami on February 4, 1926. Courtesy of Florida Memory. 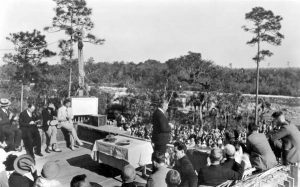 Figure 1: George Merrick speaking at Cornerstone Ceremony for University of Miami on February 4, 1926. Courtesy of Florida Memory.